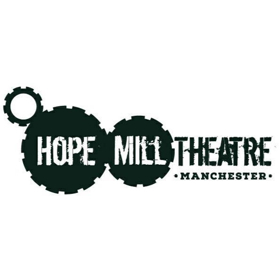 We can’t believe it’s been 5months since Hope Mill Theatre opened its doors, it’s just too incredible to believe. Before we moved into our Grade II listed building Hope Mill was a cold, empty warehouse with nothing inside but a bar (and a family of pigeons) and in bad need of TLC. We came, armed with paint brushes, dusters, screw drivers and ornaments and lovingly transformed the space into a cosy café, bar, fringe theatre and events space. We wanted to create a creatively minded venue for the good people of Manchester and support upcoming artists and theatre makers, and guess what, WE DID IT! But there’s still a long way to go. The time has flown and yet with so many incredible shows, events and weddings already under our belt those first few days seem like a lifetime away. We never want to forget where we came from, why we started on this path and the dream that made us take our first steps. So we want to take this opportunity to thank everyone who has helped us along the way, you know who you are and there’s too many of you to name. We simply couldn’t have done it without you.